It’s February and love is in the air. Many stores are already full of chocolates and sweet Valentine’s Day cards. Personally, I can’t wait to get my paws on all the extra treats that will be in my bowl when Valentine’s Day arrives. This entry was posted in General Health Care, Maggie Cares, Pet Therapy and tagged American Heart Association, American Heart Month, Beaufort, Bluffton, February, healthy heart, Hilton Head, Island Hospice, Maggie Cares, pet therapy, Savannah, Skidaway, Statesboro, THA Group, Valentine's Day on February 11, 2016 by Island Hospice. THA Group‘s comprehensive balance program, Step Forward™, is designed to identify and treat risk factors for falls and improve independence and safety at home. Program features include a mobility evaluation with a home safety assessment, patient education and a customized exercise program for balance improvement. For more information about Step Forward™, call 888-842-4663. Download the Step Forward™ Home Safety Checklist. This entry was posted in Caregiving, Events, General Health Care and tagged falls, falls prevention, Falls Prevention Awareness Day, National Council on Aging, NCOA on September 22, 2015 by Island Hospice. Did you know that 1 in 3 older Americans falls every year? Falls are the leading cause of both fatal and nonfatal injuries for people aged 65+. Falls can result in hip fractures, broken bones, and head injuries. And even falls without a major injury can cause an older adult to become fearful or depressed, making it difficult for them to stay active. If you have an aging parent, grandparent, or neighbor in your life, helping them reduce their risk of falling is a great way to help them stay healthy and independent as long as possible. This entry was posted in Caregiving, Events, General Health Care and tagged falls, falls prevention, Falls Prevention Awareness Day, National Council on Aging, NCOA on September 21, 2015 by Island Hospice. They don’t adjust as well to sudden changes in temperature. This entry was posted in General Health Care, Maggie Cares, Pet Therapy and tagged heat stress, Maggie Cares, pet therapy on August 3, 2015 by Island Hospice. Washington, D.C. (July 30, 2015) – Val J. Halamandaris, President of the National Association for Home Care & Hospice, today hailed the 50th Anniversary of Medicare and Medicaid being signed into law. Before Medicare, U.S. seniors were at risk and unable to buy health insurance at a time when statistically they received only half of their pre-retirement income and were sick three times as often and hospitalized three times as long as their younger counterparts. Halamandaris states that Medicare helped assuage seniors’ worries by providing them with access to the best health care coverage at an affordable price. “What price would we place on helping our elders achieve a longer and healthier life?” Halamandaris asked. “Surely we would be willing to do all in our power to give them freedom from worry, from the fear of going without care, and from the fear that they will lose all they worked for and wind up a ward of the state.” President John F. Kennedy thought there was no better investment than to provide health care for seniors. Referencing the historian, Arnold Toynbee, who had studied the survival of civilizations, Kennedy argued that it was important to venerate and care for our elders like the Ancient Greeks and Ancient Chinese, and that it was morally the right thing to do. What was at stake, Kennedy argued, was nothing less than the future of American Democracy and how we will be viewed through the prism of history. The National Association for Home Care & Hospice (NAHC) is a non-profit organization that represents the nation’s 33,000 home care and hospice organizations. NAHC also advocates for the more than two million nurses, therapists, aides and other caregivers employed by such organizations to provide in-home services to some 12 million Americans every year who are infirm, chronically ill, disabled and dying. Along with its advocacy, NAHC provides information to help its members provide the highest quality of care and is committed to excellence in every respect. To learn more about NAHC visit www.nahc.org. This entry was posted in Events, General Health Care and tagged baby boomers, Medicaid, Medicare, NAHC, National Association for Home Care & Hospice, Val Halamandaris on July 30, 2015 by Island Hospice. Tina Haney Scarborough and Tebow, who is in training to become a pet therapy dog, appeared on WHHI-TV‘s Talk of the Town to talk about Island Hospice and our focus on quality of life. This entry was posted in Caregiving, General Health Care, Hospice, Island Hospice in the News, Pet Therapy, Volunteering and tagged Beaufort, Bluffton, Coastal Empire, Hilton Head Island, hospice care, Island Hospice, Lowcountry, pet therapy, Pooler, quality of life, Savannah, Skidaway, Statesboro, Talk of the Town, THA Group, Tina Haney Scarborough, WHHI-TV on July 27, 2015 by Island Hospice. Beginning January 1, 2016, Medicare plans to reimburse doctors who provide counseling for end-of-life care. Read the full story on NPR.org. This entry was posted in End of Life, General Health Care, Hospice and tagged counseling, end of life, Medicare on July 9, 2015 by Island Hospice. Let me tell you a secret: I HATE leashes. They’re so restrictive! There’s nothing like a long off-leash romp with my friends to make me feel free, happy and independent. Although you humans don’t wear leashes, I know that you like to feel free, happy and independent too. As you grow older, daily tasks can become challenges, which can lead to feelings of frustration and futility over the loss of independence. This entry was posted in Caregiving, General Health Care, Maggie Cares and tagged healthy eating, home modification, home safety, Independence Day, independent living, Island Hospice, Maggie Cares, nonprofit, pet therapy, senior independence, staying active, THA Group on June 29, 2015 by Island Hospice. 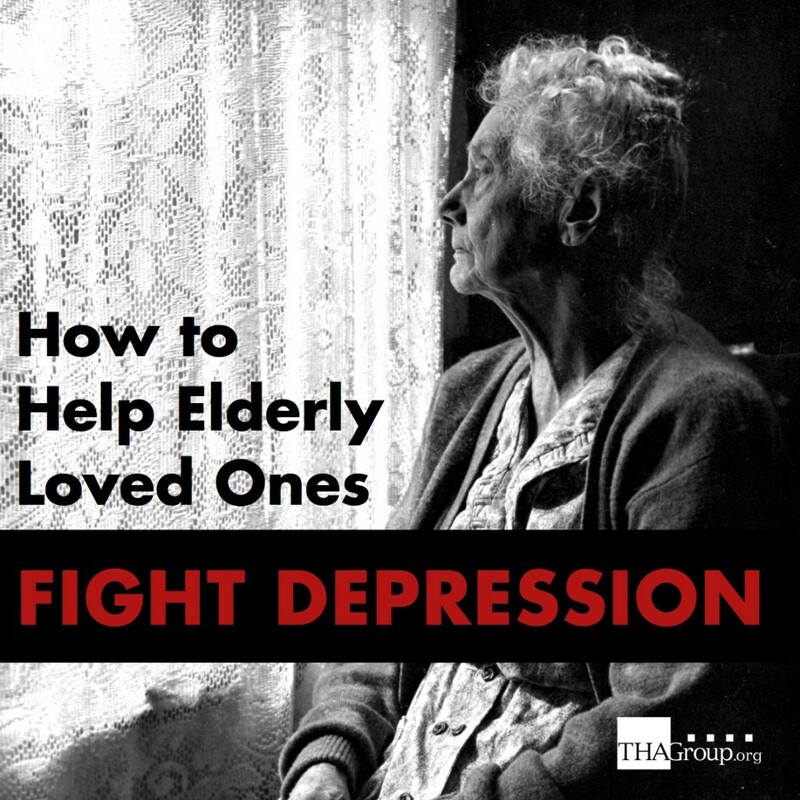 Older individuals suffering from depression often have severe feelings of sadness, but these feelings frequently are not acknowledged or openly shown. Sometimes, when an older person is asked if he or she is depressed, the answer is “no.” Some general clues that an older person is experiencing depression include persistent and vague complaints, help-seeking, moving in a slower manner, and demanding behavior. This entry was posted in Bereavement, Caregiving, End of Life, General Health Care, Hospice and tagged caregiving, depression, elderly depression, end of life, Island Hospice on June 24, 2015 by Island Hospice.